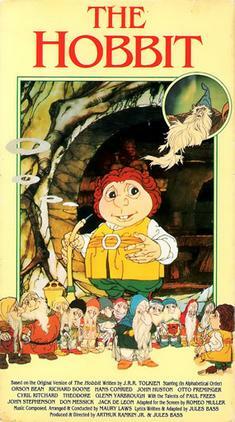 For those of us who came before Peter Jackson's massive adaptation of The Lord of the Rings, the animated telefilm of The Hobbit was our introduction to the world of J.R.R. Tolkien. I figure that future generations (including, perhaps, my own kids) will skip The Hobbit animated film and slip into Jackson's The Hobbit Trilogy as their source for all things Middle-Earth. That is a real shame, as The Hobbit, while more a condensed version of Tolkien's novel than a solid adaptation, still holds up remarkably well. It also mostly managed in about 80 minutes what three films could not accomplish in 6 hours and 14 minutes: tell Tolkien's brief story without going overboard. Bilbo Baggins (Orson Bean) is a hobbit, not interested in adventures or in anything outside his beloved homeland of The Shire. To his surprise, the wizard Gandalf (John Huston) comes to his hobbit-hole, bringing along a group of dwarves who are going to hire the shocked Bilbo to be their 'burglar'. Leading the dwarves is their exiled king, Thorin Oakenshield (Hans Conried). Now Bilbo must travel with the dwarves, with Gandalf popping in every so often, to the Lonely Mountain where the dwarves' kingdom and gold is held by the dragon Smaug (Richard Boone). Bilbo, using a magic ring he "won" from the creature Gollum (Theodore), he enrages Smaug enough to have him leave the mountain and attack Lake-Town, a world of men. Smaug is killed by Bard (John Stevenson), or Bard the Bowman. Thorin and his dwarves will not share the treasure with either men or the elves, who under the rule of The Elvenking (Otto Preminger) come to claim part of it, even if it means a battle of Three Armies. Bilbo, already chagrined to be finding himself in a battle at all, now sees it grow to Four Armies when goblins come to get at the treasure, creating an elven/dwarf/man alliance, then it builds to FIVE Armies when the eagles come to serve as an unofficial air force. 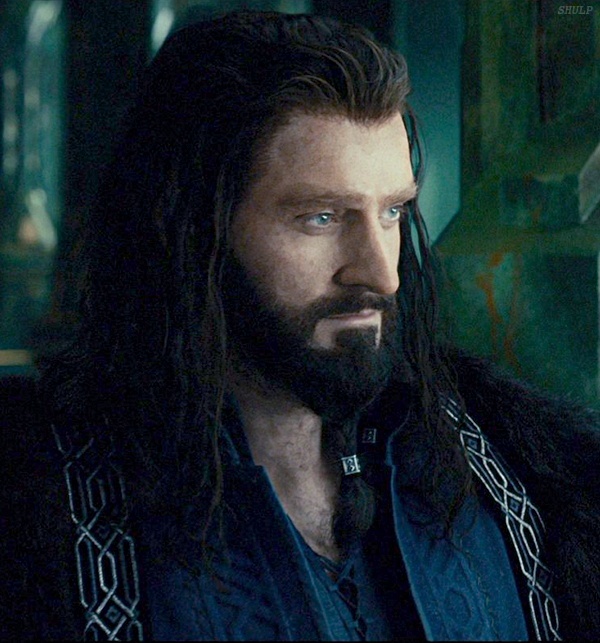 Thorin, mortally wounded, begs Bilbo's forgiveness, saying that it was Thorin, not Bilbo, who did not understand war. Bilbo takes a small share of the treasure as payment for all his services, and keeps the ring in a glass jar, a reminder of the time this humble hobbit went off on The Greatest Adventure. The Hobbit may be rightly criticized for leaving things out of its adaptation or in having Gandalf serve as a deus ex machina, bailing out the dwarves constantly whenever they fall into danger (which is often). Actually, apart from when Bilbo uses the ring to hide from the woodland elves, I pretty much am sure Gandalf would magically pop in at the most opportune moment. Actually, I could find that The Hobbit can be rightly criticized for having the Elves as rather ugly creatures versus the lush, beautiful, ethereal beings of Tolkien's imagination. We won't even touch why The Elvenking has a German accent. However, I found The Hobbit to be quite charming and effective in serving as a great way to introduce the opening chapter of Tolkien's expansive epic to a young audience. The animation is quite effective and well-crafted, no doubt since it was created by the precursor to the legendary Japanese animation Studio Ghibli. Of particular note is the confrontation between Bilbo and Gollum, which in this animated version is quite good as they match wits to see who will survive. Theodore's Gollum is reflective of the frog-like appearance to our poor Smeagol, all croaking and sinister. It is I think the best performance of all in The Hobbit, despite its brevity. The resignation, the madness, and the fury of Gollum is reflected in Theodore's rendition. This is matched by Bean's take of Bilbo as a simple being who reluctantly finds himself in the midst of extraordinary events. He never shifts from playing Bilbo as an ordinary hobbit, who sees no sense in fighting and watches the Battle of the Five Armies with a mixture of puzzlement and sadness. The other voices I wasn't too keen on. Huston's voice is so distinctive that it looks as if he didn't try to play Gandalf as anything other than John Huston reading the text. Conried sounded a bit hysterical as Thorin (who by the way, was in no ways made to look 'hot'). Worse perhaps was the Teutonic tones of Preminger, making the already odd-looking Elvenking sound so bizarre. A strong criticism could also be that the dwarves themselves had no real personalities. I don't even think dwarves that did have something to say, like Bombur or Balin, were memorable. As this was an animated version, we got something that I don't remember from the book: talking animals. Yes, Smaug spoke, but does anyone else remember either the spiders or eagles speaking? Again, it is curious that The Hobbit opted to make the Woodland Elves not the ethereal, almost magical beings I recall, but rather ugly drunks. Still, while the story is a bit truncated and we're allowed some curious puns (Gandalf, after hearing Bilbo's story of his escape from the goblins, comments "Your story rings true", hinting he knows about the ring), The Hobbit as a film is entertaining, brief, with great animation and a wonderful soundtrack. I found it charming, sweet, simple...like Bilbo himself.